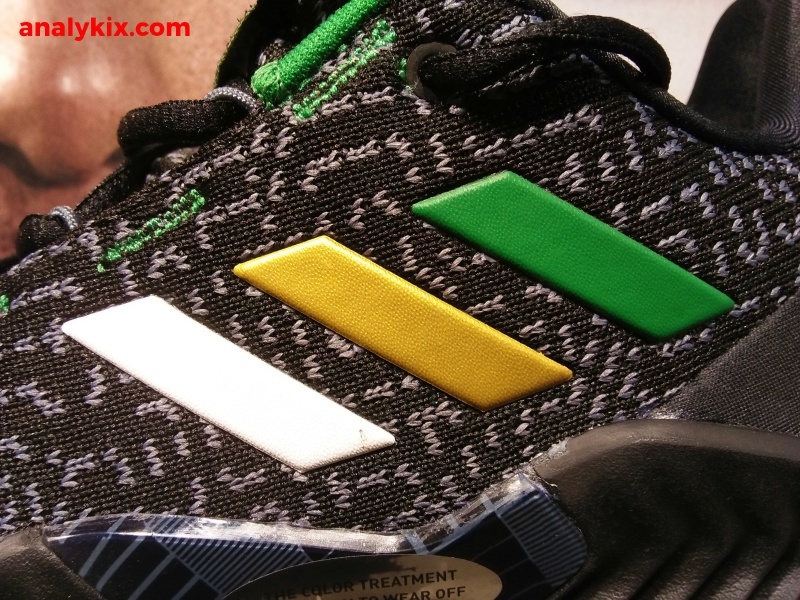 Celtics' player, Jaylen Brown gets some Pro Bounce 2018 Low PE to help carry the growing 3 stripes roster. 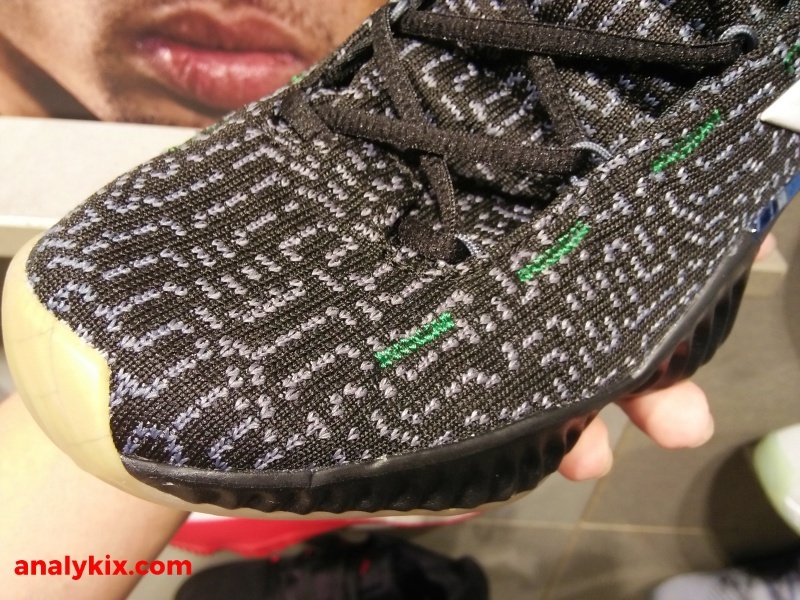 Black textile upper with grey hits can be seen together with the green, white gold stripe branding on the lateral side of the shoe. I think it's kinda nice because the black color sets a good mood to highlight the green, white and gold or Celtics' dark colored theme jersey. 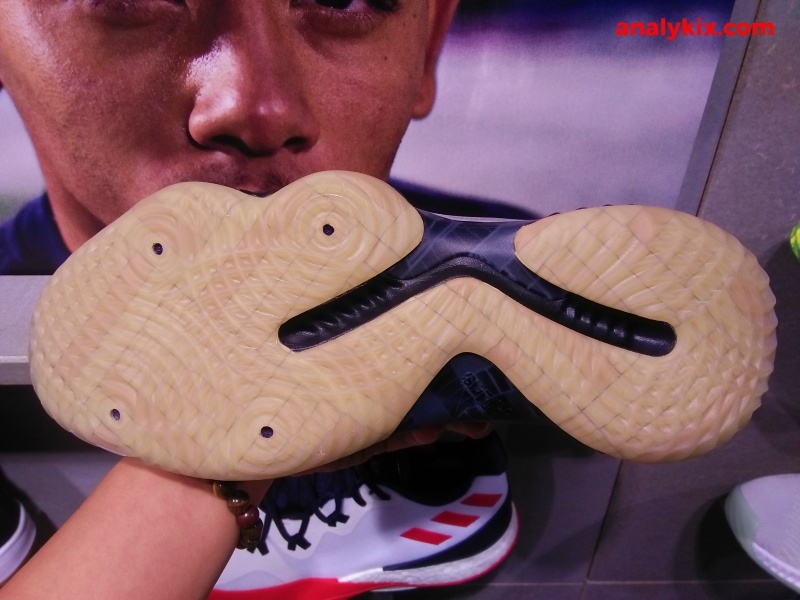 The midfoot torsion plate has a metallic finish to it with the outsole having a light gum outsole which kinda looks like to the Boston hardwood floor. 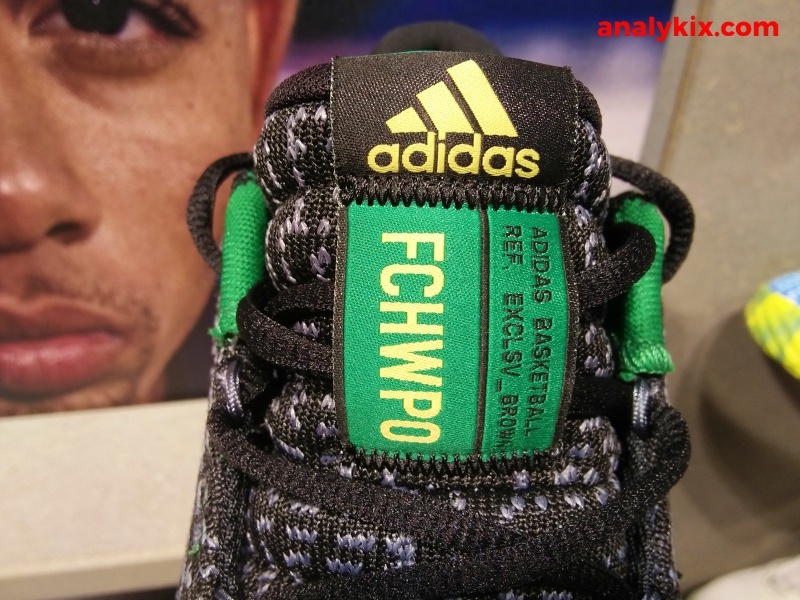 On the tongue where the player's logo can be seen, we see some initials that spell FCHPO which means, "Faith Consistency Hardwork Pays Off" Jaylen's mantra. I find the mantra nice and empowering since we all know that nothing beats hardwork, even talent. Just keep the faith, be consistent in working hard and everything will fall into place. 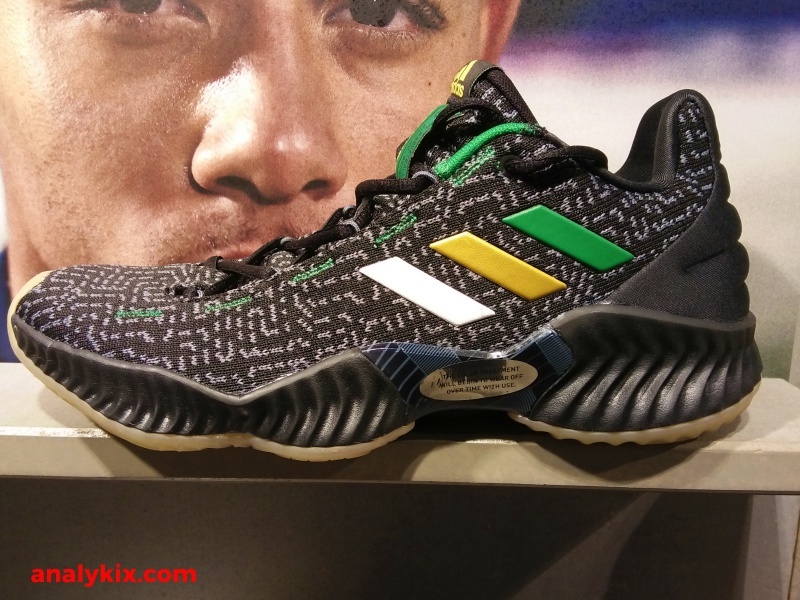 The shoe retails for Php 5,800 which you can get at various adidas stores. This in-store images were taken at their Trinoma branch. Do you have any players from the adidas roster who deserve to get some PEs? Feel free to share your thoughts below the comment section (mine is Ricky Rubio of the Utah Jazz).